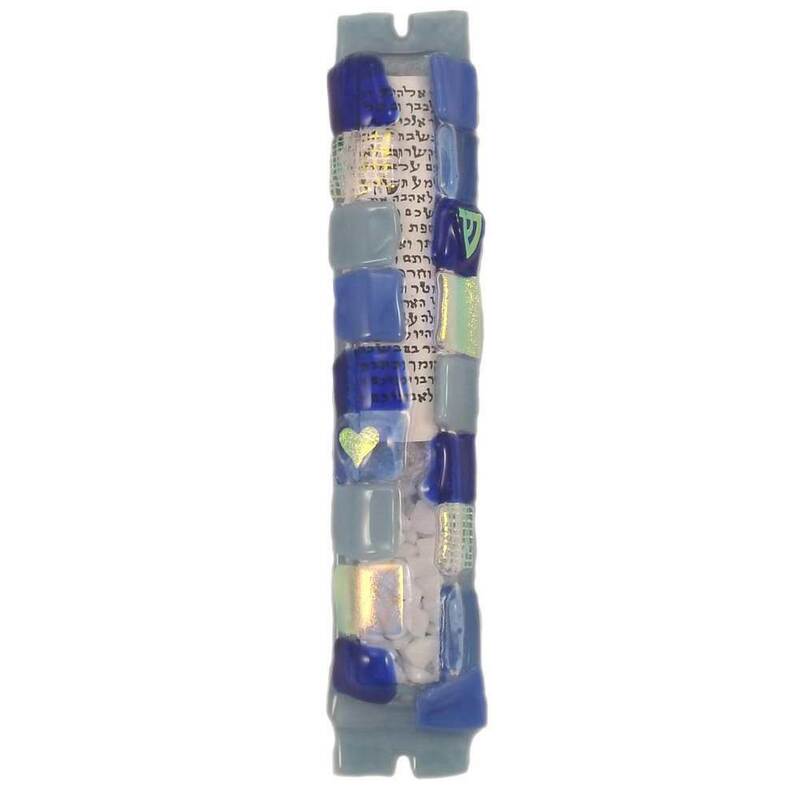 Handcrafted By Sandi Katz, This Crushed Glass Wedding Mezuzah Is Created Using Blue And Silver Colors Of Fused Glass. 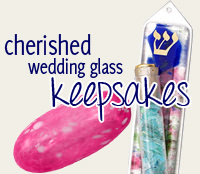 The Glass Is Slightly Transparent So You Are Able To See A Glimpse Of Your Crushed Wedding Glass That You Can Place Inside Of The Mezuzah. 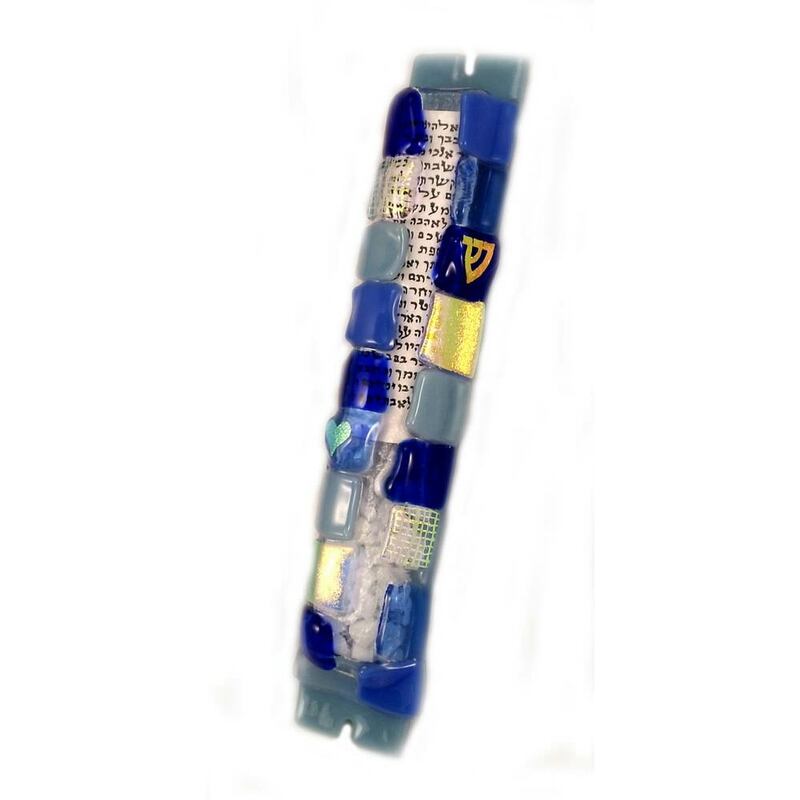 The Mezuzah Measures 6.5"L X 1.5"W X .75"D. There Will Be Some Variations Since Each Mezuzah Is Handcrafted.